The U.S. Freedom of Information Act (the FOIA), a Federal law encouraging openness and transparency in government, was first signed into law on July 4, 1966, and took effect a year later on July 4, 1967. 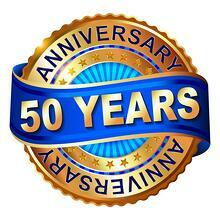 Many observances of the 50th anniversary of the signing of the law occurred last summer, but the 50th anniversary of the law going into effect hasn’t actually occurred yet. The FOIA serves an important role in the way citizens understand the working of our government, and the law has had a fascinating and sometimes controversial history. FOIA has changed significantly over the years, just as it has changed the way Americans see their government. During this interval between FOIA anniversaries, let’s take a look at the law and its impact on American history in fifty facts about the FOIA. The movement for more openness in government had been pressing for over a decade before a bill finally passed in Congress. Newspapers and lawyers had long felt that too much secrecy surrounded government activity, causing confusion and possibly even shielding corruption. S. Representative John Moss (D-CA), is credited with pushing the bill forward in Congress, despite resistance from every government agency and department that testified in hearings on the bill. The original FOIA law, Public Law 89-487, was actually repealed and replaced by Public Law 90-23 on June 5, 1967, which codified it into Section 552 of Title 5 of the U.S. Code, and kept the same effective date. The FOIA wasn’t initially considered a success, and many agencies resisted releasing responsive documents. The first amendment to the law occurred in 1974 after Watergate. President Ford vetoed the amendments, thinking they were unconstitutional, but Congress overrode his veto. Amendments in 1976 and 1986 dealt with exemptions and the fees charges for different types of requestors. The Electronic Freedom of Information Act Amendments of 1996 allowed for electronic formats and digital delivery of documents in the Internet Age. After the 9/11 attacks, the Intelligence Authorization Act of 2002 passed, limiting access of government documents from foreign governments. The OPEN Government Act of 2007 passed both houses of Congress unanimously and became law. It was intended to address what many saw as recurring failings of the law, such as agency delays and lack of responsiveness. On June 30, 2016, the FOIA Improvement Act of 2016 was signed, which sought to codify the “presumption of openness.” The law amended a range of agency procedures for responding to FOIA requests. This included the creation of a “Chief FOIA Officer Council” and requiring agencies to alert requestors of the services provided by the Office of Government Information Services, the “FOIA Ombudsman”. Who can submit a request under the FOIA? Under most circumstances, anyone, regardless of citizenship, can submit a FOIA request. What is subject to the FOIA? The FOIA does not apply to Congress, the Judiciary, or the central offices of the White House – only Executive Branch agencies. It also does not apply to state agencies, although all states have laws similar to the FOIA. What can be requested under the FOIA? Any existing government agency record can be requested. The FOIA does not require agencies to create any new records, answer questions, or perform analysis. How do you submit a FOIA request? Procedures vary from agency to agency, and requests can be submitted by mail, fax, email or through online forms. Requests must be in writing, and must reasonably describe the records sought, but there is no single form for submitting requests. In Part 2, we will discuss several more FOIA topics: the various types of FOIA requestors, turnaround times for requests, and the resolution of FOIA requests. We will also explore FOIA backlog and agency responsiveness; look at some famous FOIA requests in its history; and explore FOI laws in the states and around the world.